April is a big month for former contestants from The X Factor. Season 2 winner Tate Stevens will be releasing his self-titled album on April 23. Boy band Emblem3 will be issuing their debut single, “Chloe (You’re The One I Want)”, in a few weeks. Then, there’s Season 1 runner-up artist Josh Krajcik, who you may remember performed on the show back in November. The song he sang, “One Thing She’ll Never Know”, was featured on a digital EP out late last year, and was pushed to Hot AC radio this year to no result. Now, a second single from Blindly, Lonely, Lovely, a song called “Back Where We Belong”, was sent for adds this week to AAA radio. His album is out next week. Whoops. Though the album will likely fail to capture a wide audience besides his core fan base, this track is very much suited to Krajcik’s style. The arrangement is reminiscent of a modern Bruce Springsteen or Steve Winwood album track, and Krajcik lays on a soulful vocal. He’s completely in his element, unlike the more forced “Know”, which was constructed in a more commercial way. This at least has a little bit of edge that we’re used to from the singer who was known for his emotive vocal performances on the show. At this stage of the game, however, it’s probably not going to be the big hit it should be at the format, which is a shame. You’d think his promotional team would get it together, or at least help him a bit. 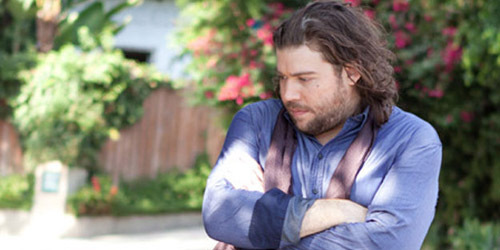 Whatever happens with both the album and the single, at least Krajcik stayed true to himself. From caroling to contemporary, you know this guy can do it all. 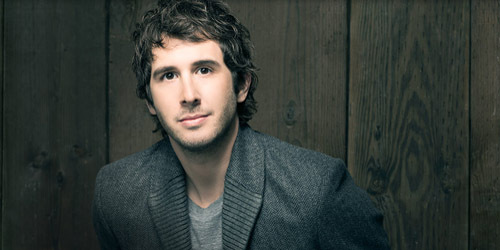 Groban’s album, All That Echoes, recently opened at #1 on the Billboard 200 album chart, his first album to pull off the trick and his first since 2007’s Noël to lead the chart. It’s sold over 300,000 copies in the U.S. thus far. The first single from the effort, “Brave” went top ten on AC radio here recently, though it’s fallen back a few spots in the last weeks or so. It sees Groban trying to adopt a more contemporary sound, though it hasn’t crossed over to mainstream radio, so, you won’t be hearing him between Pitbull and Taylor Swift anytime soon. His latest single overseas is a remake of the classic Stevie Wonder song from his 1972 album, Talking Book. It was never released as a commercial single back then, but it’s gotten a lot of coverage, from Art Garfunkel to Michael McDonald and now Josh Groban. While Wonder’s version is always going to remain my favorite, Groban does a nice job of adapting it to his style, with a gospel choir backing him and a stunning set of strings. It’s a lot much at times. The Wonder song was a simple ballad with a funky ending. This just comes off as a little schmaltzy at times, which is an acquired taste, but not one meant to be all over the radio. (It’s the last song on the CD, I get that it needs to end big.) Groban’s never had a top-40 hit in the United Kingdom, so a traditional-sounding effort like “Believe” will never make it that high… unless, of course, someone on a music talent show picks it up. A U.S. radio release has yet to be confirmed. 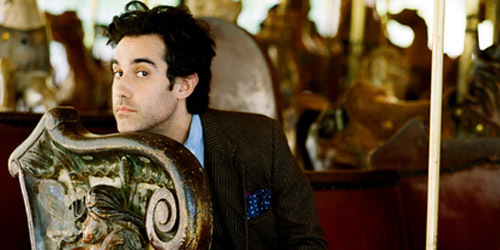 38-year-old Ohio native Joshua Radin has been putting out music for a number of years now on Mom & Pop Records. You may recall that he dented the Hot AC chart back in 2010 with a remixed version of “I’d Rather Be With You”, which also went to #10 for two weeks on my personal chart. It was originally released in 2008. It also became a huge hit in the United Kingdom, peaking just outside the top ten there. He also garnered some play for “Streetlight” in the U.S. during the same year. His albums have sold decently, and his songs are constantly being placed on television shows and advertisements in addition to his own performances on the small screen. Radin’s latest effort, Wax Wings, is a self-released record, which he purposely did to get his music out faster. It’s eleven tracks in total and “Together”, the first single, was recently sent for adds at the AAA format. It’s a simple little song about being in love and wanting to be in relationship “’cause we’re the best when we’re together.” Radin’s vocal is matched with an organic arrangement, less polished than some of his other singles, but the sound is familiar to his regular listeners. It’s a cute song for a spring wedding. Perhaps it will gain some online attention (as it really should.) It may not be a huge airplay single because of the independent distribution, but I admire him for putting out something in a timely manner without the final product suffering because of it. His album is out in May, so look out for more details on it. Do you have a favorite of these three singers? Will radio make them a hit or will they be joshing around with them? Let me know in the comments or on Twitter: @AdamFSoybel.